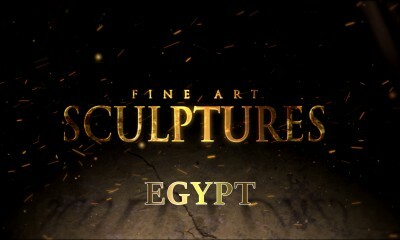 Immerse yourself in the miraculous atmosphere of the ancient world with the new 4K program Fine Art – Sculptures. You will enquire all secrets and mysteries of ancient artifacts – sculptures and statues of ancient Korea – the most significant symbols of human civilization. Discover the mysterious world of nations from the past. Ornamental Weights in the Shape of Animals 108 B.C.E.-313 C.E. Earthenware in the shape of a duck 57 B.C.E.-668 C.E. Earthenware Horn Cup in the Shape of a Warrior 400-500 C.E. Great Gilt-bronze Incense Burner 500– 660 C.E. Five-story Pagoda at Jeongnimsa Temple Site 500-600 C.E. Earthenware Funerary Object in the Shape of a Warrior 500-600 C.E. Earthenware Funerary Object in the Shape of a Warrior (master) 500-600 C.E. Rock-carved Buddha Triad 500-660 C.E. Stone Guardian 501- 523 C.E. Two Rock-carved Standing Buddhas 501- 523 C.E. Gilt-bronze Pensive Bodhisattva with Lotus Crown 600-700 C.E. Namsan Samreunggyeo Stone Yeoraejwasang 668–935 C.E. Seated stone Buddha statue 668–935 C.E. Gilt-bronze Seated Bodhisattva 668–935 C.E. Ssangsajaseokdeung, twin lion stone lantern of Beopjusa 676-935 C.E. Gilt-bronze Pavilion-shaped Sarira Reliquary 682 C.E. Namsan Mireukgok Stone Yeoraejwasang 700-800 C.E. Namsan Chilbulam Amita Bulsanggun 700-800 C.E. Standing Bhaisajyaguru Buddha 700-800 C.E. Zodiac Figure (Monkey) 702-737 C.E. Standing Amitabha Buddha 719 C.E. Stone Maitreya Bodhisattva 719 C.E. Four Lion Three-story Pagoda 750-900 C.E. Seokgatap (Sakyamuni Pagoda) 751 C.E. Stone Seated Vairocana Buddha 800-900 C.E. Stone Seated Bhaisajyaguru Buddha 850-950 C.E. Stele for Master Jingam 887 C.E. Stele for Buddhist Preceptor Wollang 890 C.E. Iron Seated Buddha 900-950 C.E. Maeyeoraeuisang, Rock Buddha 918-1392 C.E. Stupa of State Preceptor Jigwang 1070 -1085 C.E. Iron Sakyamuni Buddha 1000-1100 C.E. Celadon Incense Burner with Lion-shaped Cover 1100-1200 C.E. Celadon Incense Burner with Openwork Seven Auspicious Design 1100-1200 C.E. Bronze Bell from Jingwansa Temple 1200-1300 C.E. Seated Avalokiteshvara (Gwaneum Bosal) 1270–1392 C.E. Ten-story Stone Pagoda from Gyeongcheonsa Temple Site 1348 C.E. Amitabha Buddha Statue 1392-1910 C.E. Wooden Seated Sakyamuni Buddha Triad 1623 C.E. Buddhist gong and hanger 1700-1800 C.E. Royal Seal of Lady Yi, Yeongbin 1899 C.E.